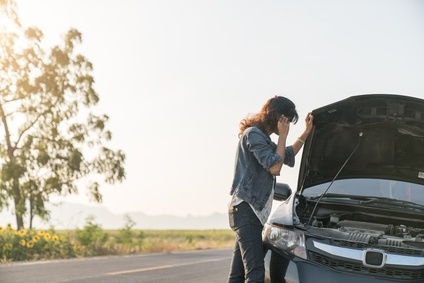 You are here: Home / LIFESTYLE / Automotive / What do you do when you have a breakdown? Panic or have an apoplectic attack? It might be easier to just take a moment to breathe. Calm down. Relax. And after you’ve caught your breath, snap open your phone and make that call to that ‘towing company, you know can trust’. Perhaps you’ve been going too fast. Perhaps, you never serviced your vehicle when you needed to. Perhaps you were plain unlucky. Towing services are generally very experienced at what they do, and they’ll get you out of the ditch you’re in, in no time at all. Help is always at hand. So, make a call when you have to. Professional towing companies have the specialist equipment that make getting your vehicle to a garage quick, pain-free and easy. 1. First, ensure you get yourself to a safe place. Standing next to your vehicle on a busy highway or motorway is not safe. Move away from your vehicle and the traffic on the road you’re on. Find a space on a high spot at least 4 metres away from oncoming vehicular traffic. Do not try to move your car yourself while traffic is moving past it. It is dangerous. 2. Do not get out of your car while traffic is hurtling at high speeds past it. Wait in your car until the coast is clear, until oncoming traffic is aware you have a problem and has visibly slowed its speed or come to a halt behind you. 3. If it is dark, or night, take extra precautions while getting out of your care. Do not take risks, you are under no compunction to. Be absolutely sure there is no traffic behind you before you get out of your care. If you are having a panic attack, don’t get out. Call 000 for police assistance and they will send a motorbike or car to help you. When you have a breakdown, the most important thing you have to look after is your safety. Your car is simply not as important as you are.